1/2 of Shade Gang Crazy, CoolR The Don hits us with his new (Free)EP just in time for the new year. 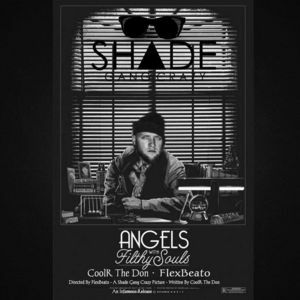 "Angels With Filthy Souls" is produced entirely by San Diego beatsmith, Flexbeato, and includes 6 new bangers clocking in at a total of just under 20 minutes. This is just one of many releases to look forward to from the Shade Gang Crazy camp this year.